Have you the innovative capability to create the next game-changer? Do you have a clear strategic innovation focus? 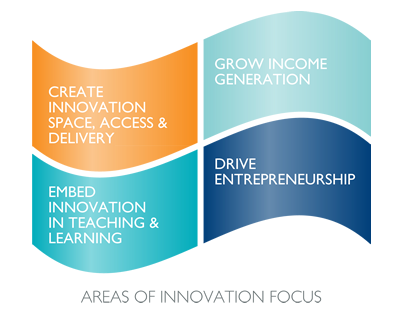 Have you developed key innovation clusters that align to regional economic priorities? How ready are you to exploit innovation to maximise opportunity? Today, FE colleges have a vital role to play in driving sustainable economic development in their regions. By providing the right skills and solutions needed by business and industry, Colleges create economic value and social benefit for the communities they serve. However, to deliver consistently on what employers want, colleges need to be innovative. Stagnation happens quickly. So fast, you may not even be aware. But when your pipeline of new programmes dries up, and another college launches the 'next big thing!' you know time is already too late. Avoid this situation before it happens. This highly interactive seminar will invigorate you to think about 'what is next' in a structured way that aligns with market demand and your internal capability.